27HJ710S-W – US Electronics, Inc. 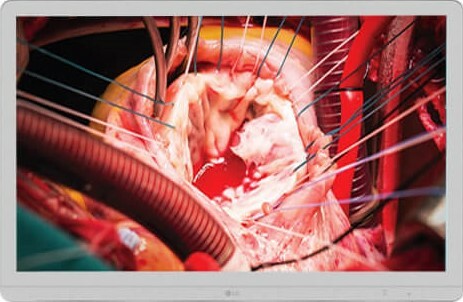 The LG surgical monitor minimizes input lag with Dynamic Sync so you can catch every single moment in real-time. Dynamic Sync Mode is only available to 60Hz input source. Optically bonded glass significantly reduces internal reflection between the cover glass and the LCD to enhance accuracy. Improved antireflection ability enables displays to look brighter and sharper for the highest image quality. IP35 rated (front) & IP32 rated (back) panels, gives protection against dust and water that may contact it during an operation.